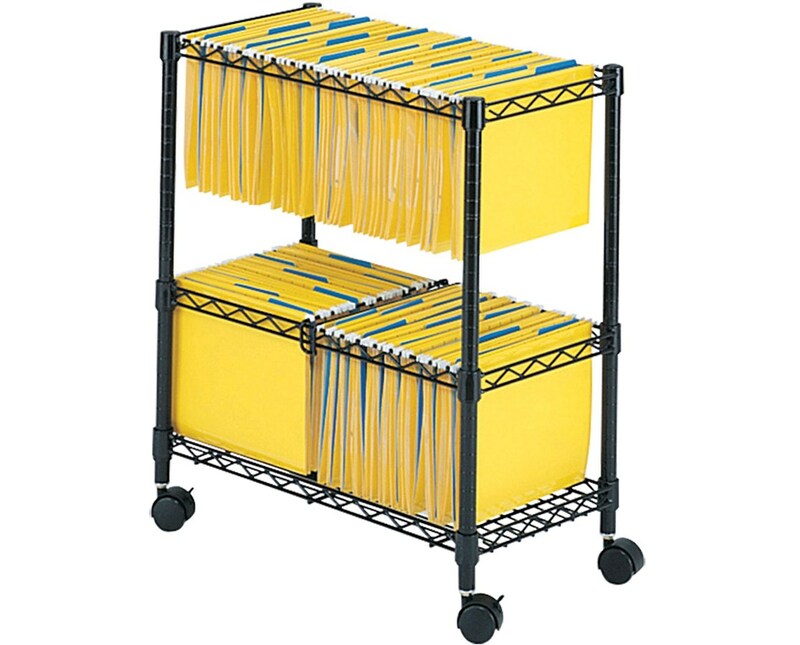 The Safco Two-Tier Rolling File Cart is a sturdy file storage unit that meets the commercial-grade quality. It features a weight capacity of 300 pounds and two full tiers of filing space that can fit legal and letter-sized documents. 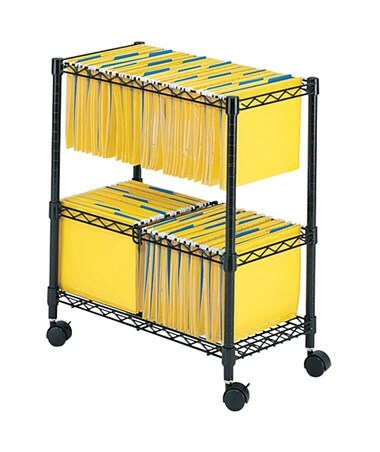 These files can be placed front to back to make two rows or a single lengthwise row. 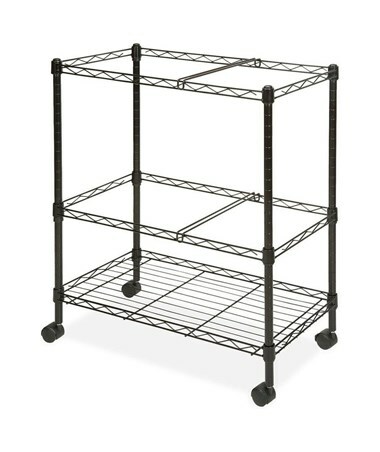 Also included is a steel wire bottom shelf that can be used as an additional storage. The cart runs smoothly on four two-inch swivel casters, two of which can be locked when desired. It is made of steel with a powder coat finish that makes it scratch-resistant. It is also safe for indoor use and does not emit harmful chemicals as certified by GREENGUARD.